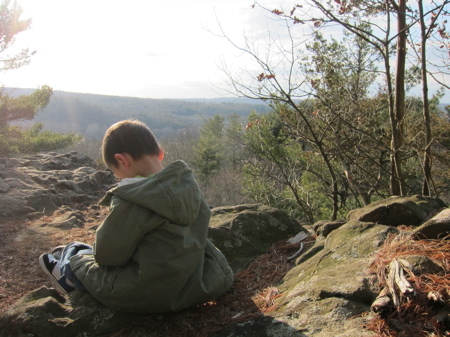 It’s not often one can take their little kid on a hike in early January in Connecticut. Well, I suppose I should say back when I was a kid, this would never happen. But since we get 60 degree days in winter now, I suppose we should all get used to it. One thing I’ll never get used to is how much Damian hates hiking. For those of you unfamiliar with my oldest son, he has Smith-Magenis Syndrome (More about Damian here) and outdoor efforts are not his forte. But I try. For Damian, walking maybe 5 minutes on a trail is a huge victory. 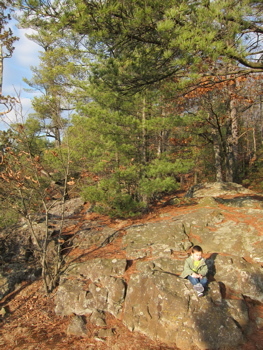 On this hike, he went no more than two minutes at a time and the number of times was very few. So yes, I carried that 40-pound oft-tantruming sack of potatoes up – and down – a decent sized hill in Woodbury. For those of you looking for a decent workout, may I suggest the “Carry Damian up and down a decent sized hill” method? Very good for one bicep and one quad, for he insists to be on your left side. And believe me, you don’t want to rock that boat. Anyway, before we even got going uphill, I stopped to check out the Orenaug Stone Pillars at the park’s entrance on Park Road. These things are pretty cool; being made up of stones from all 50 states. So cool, in fact, that I wrote a separate page all about them. There is a great sign at the beginning of the trail up the hill, allowing people to figure out their route choice, yes, but also providing some history of the place. 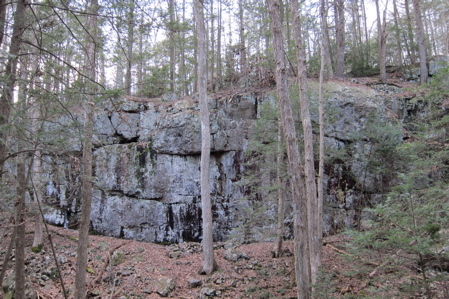 Things like how Orenaug is the Native American name for the trap rock cliffs that dominate central Connecticut. Since I was here mainly to get to the tower, Damian and I took the straight-shot red trail up the hill. It’s a fairly gradual climb that most anyone can do with only a couple steeper section that require a bit more effort. Along the way there is a nice viewpoint looking west over Woodbury and beyond. Damian, of course, couldn’t have cared less about his good fortune to have such a pretty view on a January day, but at least it gave me a minute to catch my breath. Nearing the top, we passed the yellow trail that comes in from the left. That trail connects down to Woodbury’s Senior Center/Public safety complex and affords the hiker a shorter but steeper route up here. But it’s not like the red trail is very long anyway. Once at the tower, I was a bit startled by the height of the thing. I don’t know if that was because of its “open” steel lattice design or what, but I did know that I was in a pickle. No WAY would Damian even think to climb it with me, but at the same time, leaving him at the base while I climb seemed kind of sketchy. I walked in circles with him for a little while, trying to calm him down (he was yelling “no up! NOOO! UUUUP!”) and thinking of a plan. I decided to go for broke. I plopped him down facing away from the stairs, gave him his Leapster game, and made a mad dash for the tower. Up, up, up 80 feet to the top. I’m not afraid of heights so I had no issues with this thing, but I can assure you that if you are, you might have reservations. It’s the kind of tower with the steel stairs and railings that you can see through to the ground the whole way. 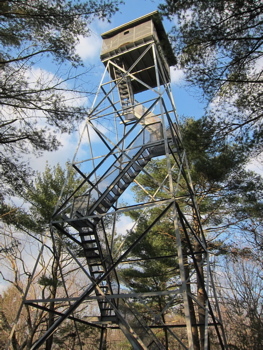 The Orenaug Fire Tower was built in 1911. It was the lookout for fires within the Pomperaug River Valley. 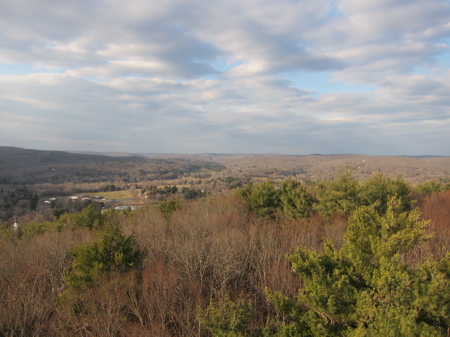 It’s 260 feet above Woodbury’s Main Street and 520 feet above sea level. I can confirm that once on top, you really know you’re on top of the Woodbury world. 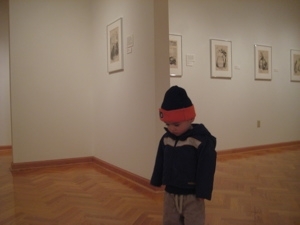 I didn’t stay long, on account of Damian, and bounded back down to the bottom to find him quietly absorbed in his game. Phew. Like I said, I had to carry him most of the way down no matter how much bribery and trickery I tried using on him. It was the opposite of fun, but I know that every time I take Damian anywhere, there is always the chance I’ll end up doing something I don’t want to do. And I’m sure I’ll try to do it again somewhere else soon enough. That’s the persistency needed of a special needs parent. It never ends, so we never end, y’know? 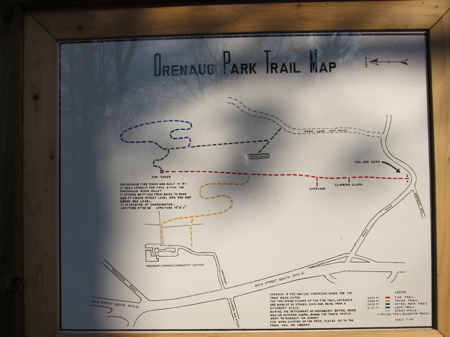 Anyway, I wanted to get the full Orenaug experience, so I drove around and down the unpaved Park Lane to find the blue trail trailhead. There was (barely) enough room to park the car, but I did and ran up the trail to find Bethel Rock. My only reason was because it was a named rock and I like named rocks. It’s not too far off of Park Lane but you can also access it via the Fire Tower Trail as well, which I recommend very highly over trying to park on Park Lane. Bethel Rock is a big giant cliff/rock that was an outdoor chapel where the very early residents of the area went to worship on Sunday. It all started with seeing this structure from the hills of Newtown. We looked up various towers and came across your site. Thank you for your description and the treat after the climb. We stopped at Dotties Diner too and had yummy eclairs. Best to your family. Became our playground of restless teenage souls. A sixty foot jungle gym meant for the bold. we climbed and climbed skyward toward. The flimsy wood rail ,way too old. We played with the fates those warm Spring even Fall days. On steel girders sixty feet in the air. Teenage boys soon bored again. Off to other dreams of daring to meet. They never knew of our crazy feats. Yet even now , we reflect ,we knew, we had it beat. and Pete, Quinty, and Big Jim, Sgt T. and always Tommy Good. Who can forget the Gaelic too with Dyer Cassidy, Steve Murray and Alan, Steve,Colin for sure,. And add the Coles and the Harvey’s just for fun, after all it was their Woods we played within. Then our parents referred to them, us as ‘That Bunch” to shun. they were “talkin’ about their own sons. older brothers and Dads surely did too. perhaps gives a tale that certainly endures. immortalized years now gone again. Fair Best my friends, Prosper and Be Well. And who would have thought one of those Cole’s would have a child to write about the tower? 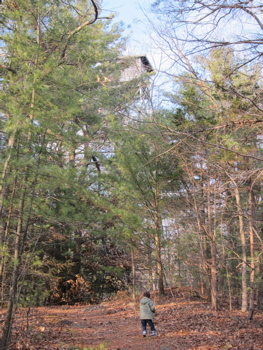 It’s been a huge part of my stories… Rarely does a child forget climbing the tower to find an uncle or two at the top. Thanks for the happy memories!